Formed in 1895, Hagerty have been one of the leaders in cleaning products for over a century. No matter what it is your need to clean - whether it be your bathroom or glass ornaments - you can rely on Hagerty to have the perfect product for the job. 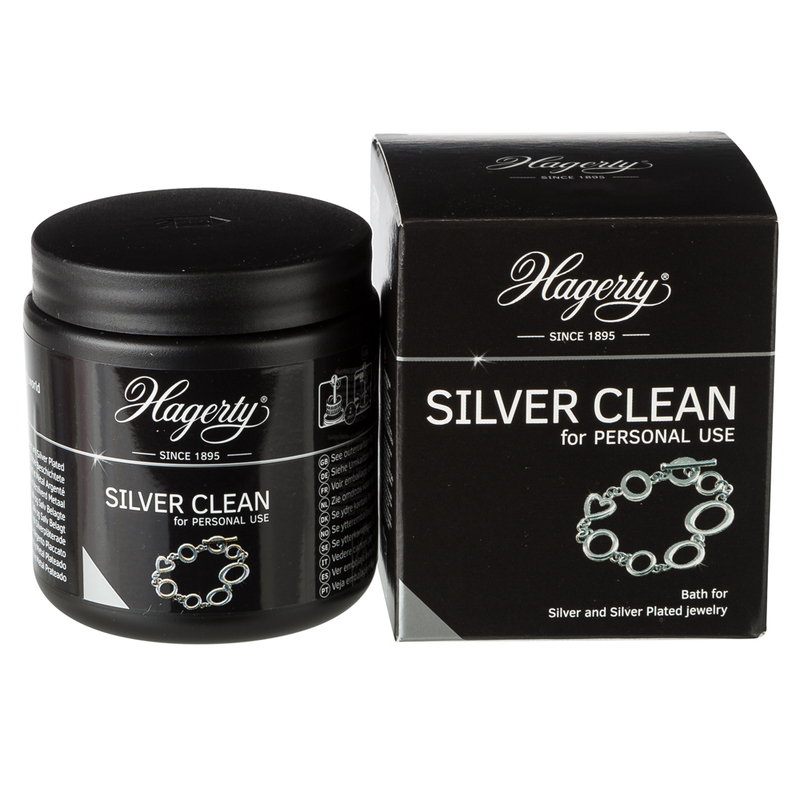 Don’t let the dark side of silver get you down - check out Hagerty's Silver Clean Bath for Jewellery. It's the easy way to keep your treasured bracelets and necklaces shiny and residue free from day to day. You can always rely on Hagerty to keep your jewellery items looking their best. Dip bath for your jewellery, gently cleaning and renewing shine and sparkle. Suitable for silver and silver-plated jewellery. Wear gloves, protect your clothing and clean silver in a well ventilated area.